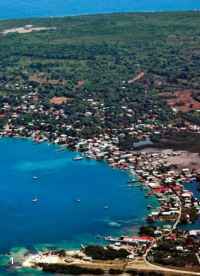 On Utila Island the clear leader in hospitality and scuba services is the little over-the-water lodge located down a Victorian street lined with citrus and mango and garnished with spicy English accents. Utila Lodge offers the friendliest and most casual of vacation experiences. And with a grand total of eight rooms, you are a name, not a number. All rooms are air-conditioned and have private baths and over-water balconies or porches. The main clubhouse with restaurant and bar is built over Utila Harbor and boasts great breezes and extraordinary harbor views. (Check out the web cam on our website.) 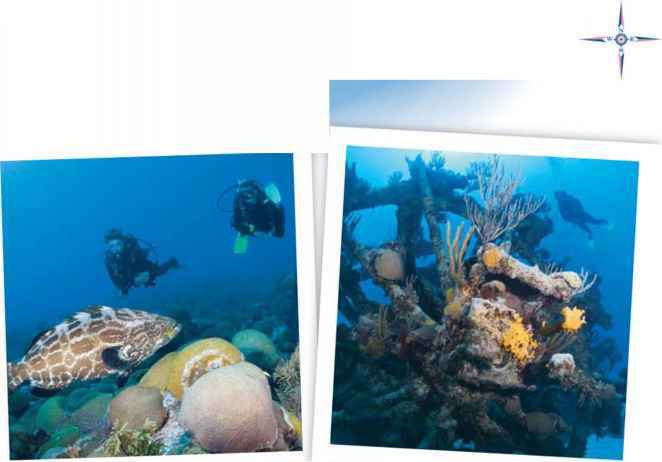 There is a PADI 5-Star dive shop, on-site hyperbaric facility, nitrox mix, complete instruction, equipment repair and rental, classroom and, of course, a friendly professional staff offering complete scuba services. so it is not unusual to suddenly find yourself face to face with "the biggest fish in the sea." Serious aficionados may sign up for scheduled research programs through WSORC. 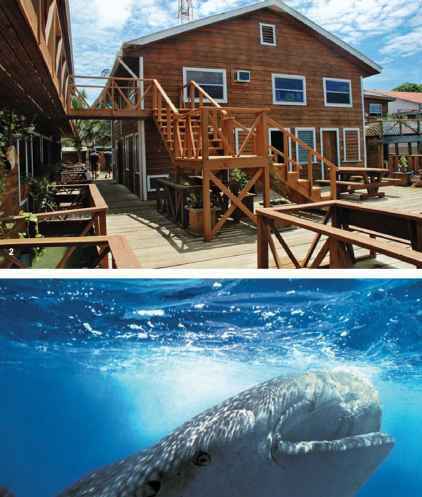 Dive Package includes: Double occupancy; air-conditioned accommodations; three full meals daily; three boat dives daily, which includes two night boat dives during the week; tanks, weights, and belts; kayaks and canoes; welcome cocktail and airport transfers. Dive group incentive: Seven paid, one free; 14 paid, two free — and the whole resort is yours. Think of Utila Lodge as your own little dive resort in the western Caribbean.